Mod() function is used to find the floating-point remainder of x/y. The magnitude of the result is less than y and its sign agrees with that of x. 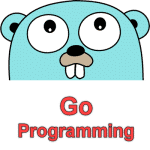 The standard math package of Go programming language has Mod() function. x, y – Where x and y are Valid float64 Input valued. These parameters are required. If the x or y parameter are not number (numeric values) Mod() function returns an error . If there is no argument (x or y – input values) passes to the function, then the compiler will produce an error. Mod() function will returns the floating-point remainder of x/y. The magnitude of the result is less than y and its sign agrees with that of x.